Ken enjoys working with children, adults, families and couples through Attachment and Schematic approaches, and works proficiently with presentations of Anxiety, Depression, Trauma, Behaviour Management, workplace conflict, as well as psychometric testing and assessment. Upon finishing school, at 17 years of age, Ken knew he wanted to be a psychologist. Completing his four-year degree, and then a Masters degree, Ken had a desire to work with children, adolescents and families, hence the desire to complete a Masters in Educational and Developmental Psychology. However, a Master’s degree at 24 years old does not speak to life experience. Ken had loved the opportunity to teach undergraduate level psychology at university whilst completing his masters, and still maintains a passion for teaching and training – but the truth was he had not worked a ‘real job’ at this point in his life. Ken was employed in a government role with the Department of Aged, Disability and Home Care (ADHC) where he began working with people with all manner of disability diagnosis, work that he continues to do to this day, through the mental health care plan or the NDIS Scheme. This role also introduced Ken to his interest in parenting and relationships, given the strain that a disability can put on the family unit. This desire spurred Ken to complete his clinical equivalency and membership to the APS clinical college as well as the Educational & Developmental College. After working with ADHC for several years, working up from an entry level position to the senior clinician on the Regional Behaviour Intervention Team, Ken was faced with a choice, continue with his career progression by transitioning into Management in the Government, or make the career change into private practice with his wife Renee, and establish a private practice. After all of his training, Ken did the smart thing, and did what his wife wanted, leaving for Private Practice with Riverlands Therapy Services. 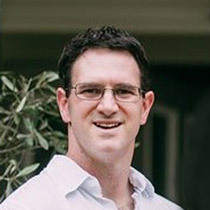 Ken has worked in Private Practice with Riverlands Therapy Services for many years now, and was approached to become the new owner & director of the practice, along with Renee, with the aims of continuing the quality service Riverlands has provided for the Nepean and Blue Mountains community. He continues to work with the disability sector, as well as specialising in Attachment and Schema Therapy approaches, combined with a Cognitive Behaviour Therapy framework, for essentially all people and populations. Ken’s work with schools and passion for basketball have resulted in a focus on working with Child & Adolescent boys through to men, given the difficulties these populations can have in accessing mental health care services, as working with athletes or individuals in a performance role. Ken continues to enjoy working with children, adults, families and couples through Attachment and Schematic approaches, and works proficiently with presentations of Anxiety, Depression, Trauma, Behaviour Management, workplace conflict, as well as psychometric testing and assessment. Ken works in Penrith on Tuesdays, Wednesdays and Fridays, and Blaxland on Mondays and Thursdays.